“Livestock should go out on pasture when grasses have developed three to four new leaves,” says Christine O’Reilly, Ontario Ministry of Agriculture, Food, and Rural Affairs’ forage and grazing specialist. “Turning out earlier than this is very stressful on the plants." The rule of thumb is grazing a week too early will sacrifice three weeks of grazing in the fall. “If livestock are turned out too early year after year, weeds that begin their growth later in spring than grasses may be able to out-compete the plants producers want in their pastures,” adds O’Reilly. It doesn’t do the cattle much good either, as immature plants are mostly water, offering little nutritional value. That's especially problematic for cows with calves, notes Alberta’s forage and beef specialist, Karin Lindquist. 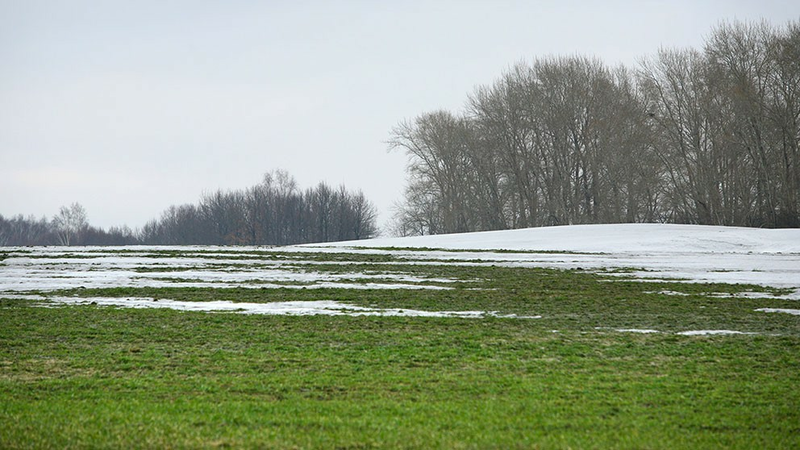 Cattle in areas that experienced dryness and feed shortages last fall may have stayed on fields longer than ideal, meaning those pastures went into winter overgrazed, says Cedric MacLeod, executive director of the Canadian Forage and Grassland Association. For those pastures, it will be that much more important to get adequate rest in the spring to reestablish their root reserves. “In general, we’re probably putting our cattle out too early even in the good years,” MacLeod says. Winter hasn’t been kind to producers with low supplies, and Alberta Agriculture’s beef and forage specialist Barry Yaremcio points out cold in his province has caused increased feed consumption. Hay shortages and extreme cold have challenged many Prairie producers this winter. They worry if they’ll have enough feed to hold their animals over till pastures are ready, says Lindquist. Farmers may have to resort to buying more feed and/or custom feeding. Alberta Agriculture’s CowBytes software program can assist in ensuring livestock receive a balanced ration of nutrients. Lindquist adds creep feeding can provide supplemental feed for calves. That can be one-third peas mixed with two-thirds oats and barley, or corn. MacLeod says another option is reducing inventory. “If guys are holding heavy calves, if there are cows out there that should be culled from the herd, now is the time to do it, as opposed to limiting your forage production into the future,” he says. The downside is depressed cull cow prices, but the risk of not selling is inadequately feeding your herd, MacLeod says. Cattle farmers are facing hard choices amid feed shortages but are urged to consider other options such as custom or creep feeding or even reducing inventory before early grazing. Putting livestock on pasture too early can damage both plant and animal health.